We have already discussed in length about Flock is on our previous post on 5 firefox based web browser applications. And it already is end of the road for Firefox in Flock Web Browser. 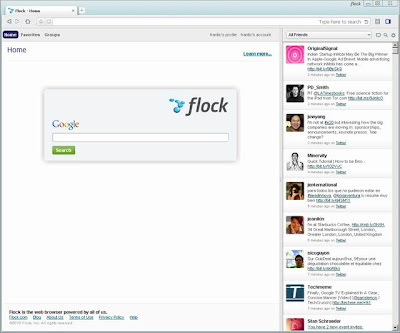 Though the official flock website still carries the 'powered by mozilla' tag, you will be surprised to see the flock beta page carrying an entirely different style and theme. And it talks about Flock browser with Open Source Chromium as the code base! 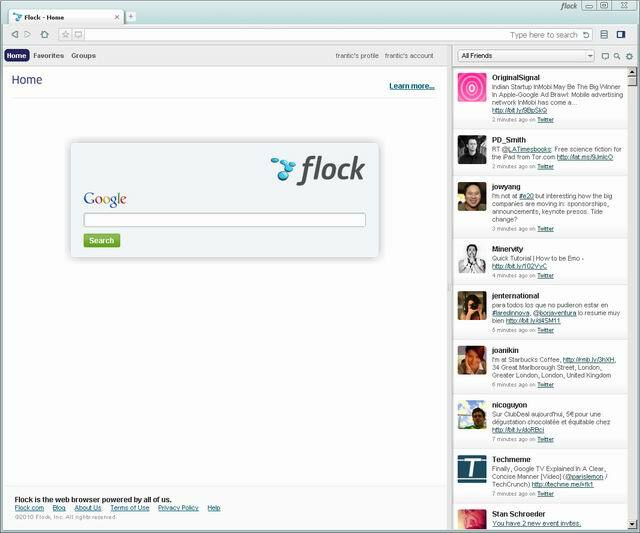 New and improved Flock sidebar. Much faster(obviously), since it is based on Chromium and not Firefox. Don't yet have Flock beta for Linux users. Windows users can download Flock Beta from here.